With countless shopping places in Branson, you will no doubt find that unique item or bargain that you’ve been searching for. 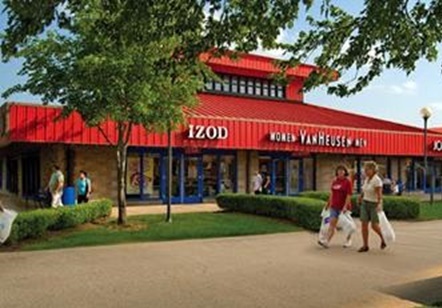 Shopping in Branson is open year round offering visitors from national-brand outlets to master craft malls, flea markets to unique gift shops. In Branson, there is always a nice shopping place waiting just for you. You’ll get to find many discount stores in historic downtown Branson, trendy shops at Branson Mall, Victorian Village, Grand Village, Branson Landing, Tanger Outlet Mall, Branson’s Factory Merchants Outlet, and tons of shops of all descriptions throughout the city. Open all throughout the year, Branson mall features 28 thrift shops, restaurants, and great shows at the Branson Mall Music Theatre. The mall has specialty stores that feature an array of great shopping items from children’s clothes to ladies’ and men’s accessories and jewelries to souvenir items. Great shopping in Branson can also be enjoyed at the Victorian Village which offers great décor, furniture, memorabilia, and gourmet foods. The Grand Village is another shopping place in Branson which has discount stores that offer fashionable clothing to books and toys, and great crafts to hand-made jewelries. The Grand Village is a nice shopping arcade where you can find Kringle’s Village Shop, Kinkade’s Signature Art Gallery, Abbey Rose, and the Hard Luck Diner. You can also find good deals at Branson Landing, a fantastic shopping destination in the Ozark Mountain located along the waterfront of Lake Taneycomo. This great shopping mall features so many famous national retailers such as Belk Department Store, Bass Pro Shops, White House/BlackMarket, An Taylor Loft and Chico’s. The Landing features a Fountain Show with its spectacular show of fire, light, water and music that dance to the tunes of melodious music. Many of the visitors at the Landing gather around the promenade to enjoy the great entertainment from street performers. Shopping in Branson can also be experienced at the Tanger Outlet Mall which has over 65 brand name outlets to please you. Here, you can make yourself up-to-date in fashions from top brands such as GAP Outlet, Tommy Hilfiger, Polo Ralph Lauren, Aeropostale, Old Navy, Levi’s, Banana Republic, Liz Claiborne, Eddie Bauer, Haggar, Sketchers, Van Heusen and Rockport. At Tanger Outlet Mall, you can find great deals for kids at The Children’s Place, Disney Store Outlet, Tommy Kids, Osh Kosh, Carter’s and Gymboree. Branson’s Factory Merchants Outlet is another great shopping place in Branson that offers up to 65% off retail prices on top quality items in 90 different shops. In this shopping outlet, you also can savor delectable food in open-air food court with options from A&W or Auntie Anne’s Pretzels. This outlet mall features great brand stores such as Carter’s, Reebok, Red Wing Shoe, KB Toys, Pfaltzgraff, Tuesday Morning, and Pendleton. Many of these shops offer specialty items to houseware, fashion wear, electronic gadgets, and ladies’ and men’s accessories. Shopping in Branson can easily be enjoyed in many discount stores where you can find great deals that offer everything you need.